The standard Razer Nommo (or the Chroma version) has been available for a while but true Razer fans had been waiting for some time for the Pro version. The Pro includes the Chroma lighting but most importantly, better sound. Nommo Pro includes independent tweeters for enhanced highs and also a dedicated subwoofer for Bass oomph. Razer Nommo Pro is available now for A$849.95 (gasp) and can be purchased at Razer.com.au – but should be available to major retailers around Australia fairly soon. 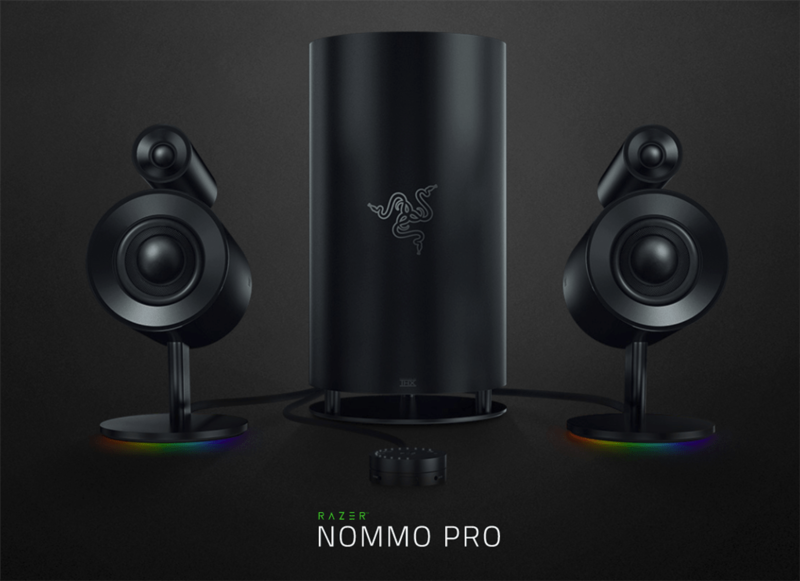 At that price, Razer is offering premium features on the Nommo Pro such as THX certified, Dolby Virtual Surround Sound, Dupon Kevlar coated, and a desktop dial control pod to control volumes, power, etc. If you don’t want to pay that much for a gaming speaker, the Razer Leviathan Soundbar is good enough – check out our review on the Razer Leviathan.